The U.S. official story on atomic radiation hasn’t changed — nothing to worry about, no hazard, no long-term effects. The current NRC proceeding to declare radiation exposure as healthful is just more of the same. 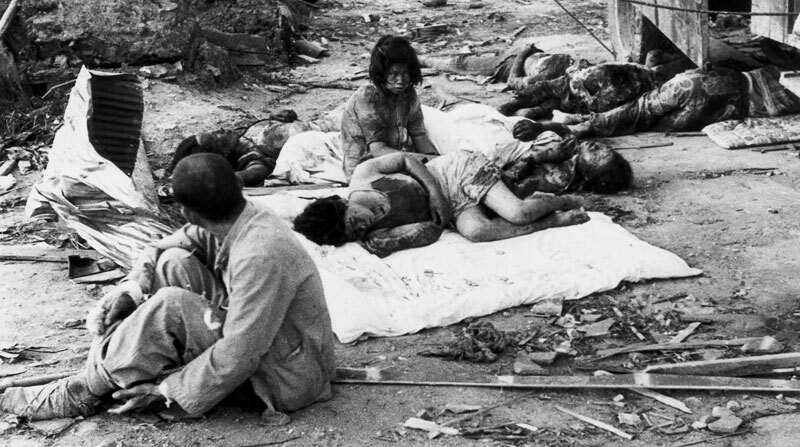 The U.S. government continues to justify its actions against Japan despite all the evidence showing it entrapped Japan into war in the first place and knew that the Japanese government was surrendering before the decision was made to drop the bombs. Russian Historical Society has published a report of the Soviet ambassador to Japan on the aftermath of the bombings of Hiroshima and Nagasaki from the Archive of Foreign Policy of Russia in time for the 70-th anniversary of the attacks. The report was recorded a month after the attacks. 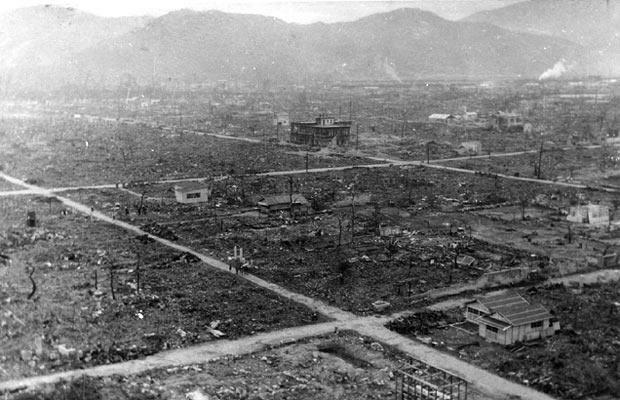 The train terminal and the city of Hiroshima were destroyed so much that there was no shelter to hide from the rain. The city was a scorched plain with 15-20 cement buildings left standing. Several dozen thousand people huddled in the dugouts on the outskirts of the city. People who came to help the victims during the first 5-10 days died. A month after the bombing grass began to grow and new leaves appeared on the burned trees. Glass windows in the cement building of police department, which was left standing, blew out inward. The ceiling was bulging upwards. The zone of impact was 6-8 kilometers, where all the buildings were damaged. At 5-6 kilometers mostly roofs were damaged. Some areas were not affected by the rays, suggesting that the energy was expelled unequally by bursts. Some people who where close to the injured did not receive any burns. This pertains to sections significantly removed from the impact. Everything alive was destroyed in the radius of one kilometer. The sound and the flash were heard and seen 50 kilometers away. On person reported seeing a flash and feeling a touch of a warm stream on his cheek and a needle pinch. Many people only had injuries from shattered glass. Burns were mainly on the face, arms and legs. A doctor reported seeing three bombs dropped on parachutes, two of which did not explode and were collected by the military. The doctor experienced diarrhea after drinking the water. Other rescuers got sick after 36 hours. The doctor said that in those affected the white blood cell count reduced from 8000 per cubic centimeter to 3,000, 1,000 and even 300, which causes bleeding from nose, throat, eyes, and from the uterus in females. The injured die after 3-4 days. The injured, who are evacuated heal faster. Those who drank or rinsed with water in the impact area died thereafter. After a month it was considered safe to stay in the impact zone, however it was still not conclusive. According to the doctor, rubber clothing offered protection against uranium, as well as any material which is a conductor of electricity. A girl who visited the area a few days after the blast got sick in 1-2 weeks and died 3 days after. Nagasaki is divided into two sections by a mountain. The section sheltered from the blast by a mountain had much less destruction. Japanese driver in Nagasaki said no rescue work was done on the day of the bombing, because the city was engulfed in fire. 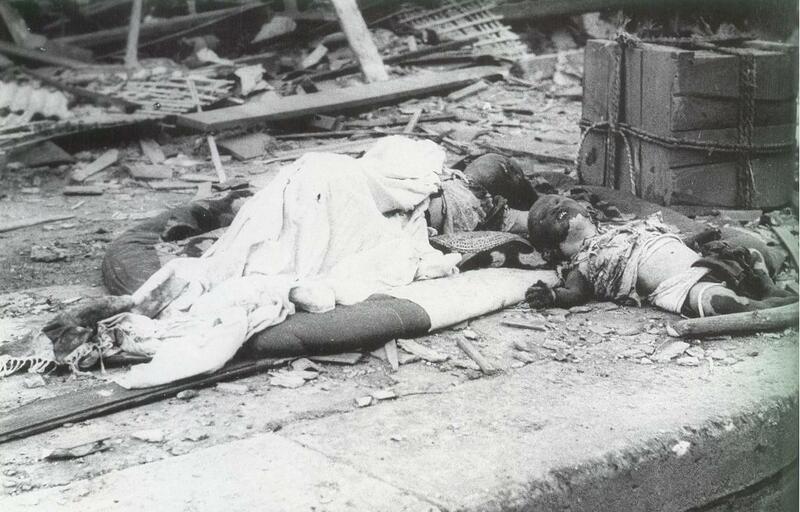 Nagasaki bomb was dropped over a university hospital in Urakami district (near a Mitsubishi plant), all the patients and the staff of the hospital died. The driver said, some children who were up on the trees [playing?] survived, but those on the ground died. 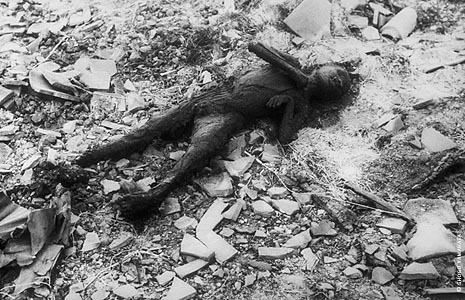 Most people in Hiroshima said the bomb was dropped on a parachute and detonated 500-600 feet above the ground. The head of the sanitary service of the 5th American fleet, commander Willkatts said that no parachutes were used in the dropping of the bombs. He also said no bomb could fall without detonating. 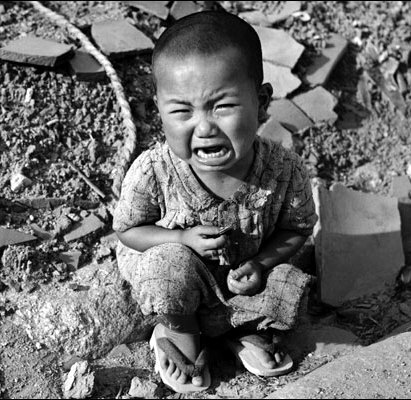 He said after the bombing the zone of impact is safe and the Japanese are exaggerating the effects of a nuclear bomb.